Bedford is fortunate in having two excellent private airfield museums dedicated to curating and displaying material from the Second World War. Sections of the American 8th Air Force were based in north Bedfordshire (& elsewhere in East Anglia), engaged in aerial bombardment of occupied Europe as part of the Allied offensive. Both Museums are just off the A6 road from Bedford to Rushden. Twinwood Airfield is well known for its Glen Miller Museum, original airfield control tour and a range of WWII airfield buildings and wartime displays. 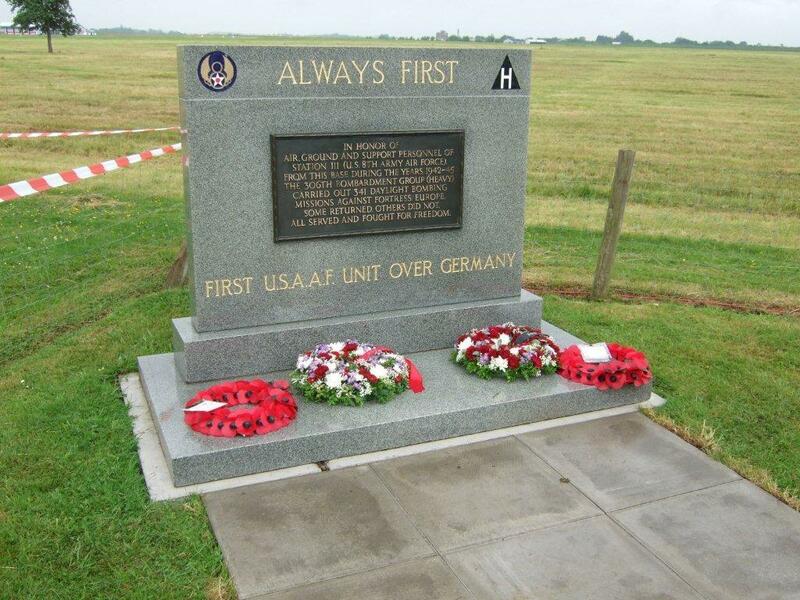 Slightly less well known, but well worth a visit, is the 306th Bombardment Group Museum at Thurleigh Airfield (now a Business Park), sited in an original wartime building donated by Dr Jonathan Palmer, of Bedford Autodrome, and opened on 27 July 2002. Thurleigh is the creation of its curators, retired locals Ralph and Daphne Franklin, who have built it up over the last 10 years to what is now a superb collection of material (much of it donated by veteran US servicemen and their families), both military and social. Not only does it evoke the experiences of the American servicemen who served there from 1942 to 1945, but also has excellent displays on Home Front life: a 1940s kitchen, a local pub, wartime GI-bride weddings, and the ‘land girls’ of the Women’s Land Army. 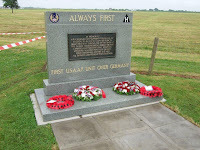 On Sunday 8th July I joined scores of others who gathered, despite the occasional rain, to celebrate the museum’s 10th anniversary and to witness the re-dedication of the memorial to the 306th Bombardment Group who served here during the Second World War, and many of whom lost their lives in the daylight raids on Germany. Wartime vehicles, re-enactors and the superb Mainline Big Band turned up to help recreate the wartime atmosphere with Glen Miller music and dancing in the adjacent marquee. Dr Vernon Williams, a history professor at Abilene Christian University in Texas, attended the event to represent the 306 Bomb Group Association which is still active in the USA. He is webmaster of their online site and editor of the newsletter Echoes. 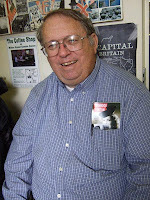 Vernon is quite well-known in north Bedfordshire as well as in Cambridgeshire and elsewhere in England as the director of a major oral-history project entitled the East Anglia Air War Project. 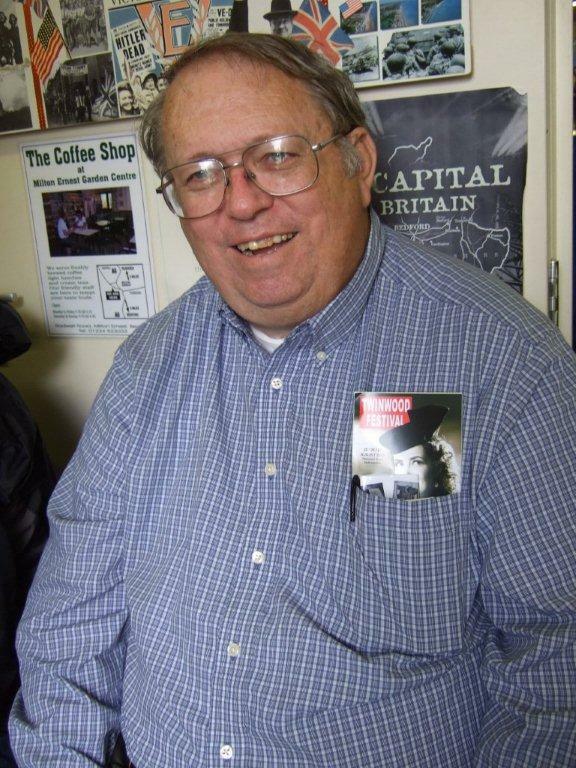 Beginning in 2003, he has conducted countless interviews with US veterans, both flight and ground crew, who served here during the war, and also those English people who came in contact with them during those years. His aim has been to explore not only the operation of the air war – he is a military historian – but also the nature of the relationships developed between the host population and their American ‘cousins’. He visits the East of England twice a year to conduct his research. He is currently working on writing a number of books based on his extensive research. I, for one, am looking forward to his book on the Anglo-American relationships forged locally during wartime. (He interviewed some of ‘my land girls’ and extracts from their video interviews have appeared in some of his historical documentary films, for example, the DVD Thurleigh at War). 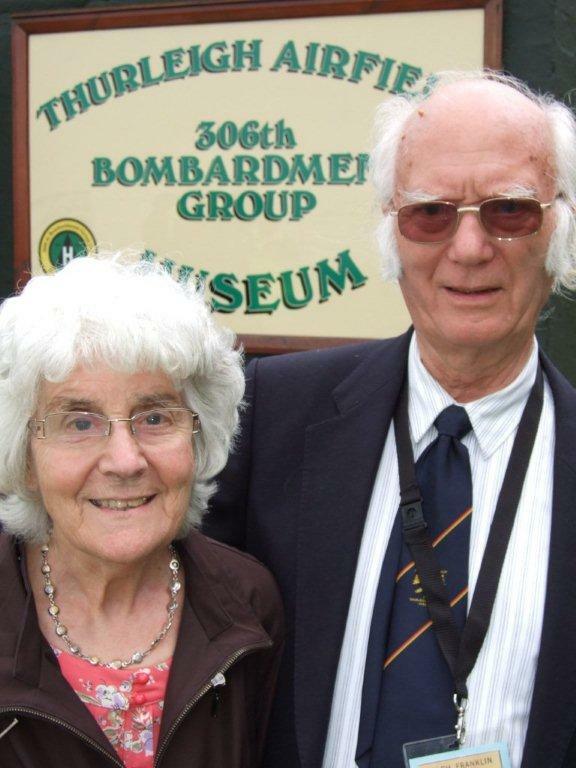 Barbara and Charles Neal also attended, representing the UK's 306th Bombardment Group Association. 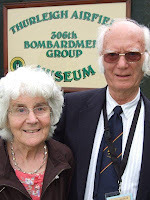 Barbara is the secretary of the organisation and Charles heads the Second Generation efforts within the 306th BGA. The two of them laid wreaths during the Memorial ceremony. Small specialist museums such as these carry out a useful role in complementing the work of the major museums by introducing members of the public, some of whom are possibly intimidated by the larger ones, to topics and periods in our history which deserve our attention. Both Twinwood Airfield (open Sundays only) and Thurleigh Airfield museums (Saturday & Sundays) are open each weekend during the main ‘tourist’ season. For further information about hours and events see Twinwood's and BGA's websites.